Rachel: Where do you begin with someone who comes to you with pain or discomfort playing issues? Sophie: The first thing I do is to give them tools to get out of the pain as fast as possible and the specific understanding of why the old movements are damaging. Very often with playing injuries, what started as pain only at the instrument becomes extremely pervasive. If it is in one place it will be there all the time not just when playing and often it can radiate to other parts of the body, becoming a complex web of issues. First they have some of the fundamental Taubman movements away from the instrument that relieve the pain and allow them to begin to put into the body the correct information. Then we do what I call “24 hour practice” which is not playing or touching the instrument! Usually when someone is injured, they use the same injurious movements in multiple activities throughout the day that are nothing to do with playing. There is no point in giving them movements to relieve the pain if they then re-injure themselves during the rest of the day. So we look at all their activities and slowly clean out all injurious movements. Rachel: Do you observ e changes in how your students approach the music? What are these changes? Sophie: Yes. There is a limit to what the brain can do at one time, so when we are in pain or struggling with the instrument we cannot listen to the same the degree, so just being out of pain means that our ability to listen increases enormously. In addition, having specific physical tools attached to the musical demands of color, tone, dynamics, articulation etc takes the mystery out of how to create the sounds we want. A good analogy is the magician. His trick is perfectly worked out, he knows all the details of how to create what is a magical illusion. If he just got up and had magical thoughts, the trick would not work, knowledge and skills that are invisible to the audience enable him to produce magic. We need that same degree of physical knowledge to produce the magic in the music. Giving people that knowledge allows them to use their imaginations and bring their musicianship to new levels. Rachel: What do you find different in teaching and learning this way? Sophie: One result of Edna Golandsky’s work with what Dorothy Taubman discovered, has been the development of a very precise pedagogy, which includes the language used and the way the training is done. I had never seen this level of clarity in my life before. The highly developed pedagogical tools and language means there is a way to be absolutely precise about what needs to happen and how. Rachel: How does it make sense to you? Sophie: The brain and the body are pretty smart! The body knows when things are wrong – a good example of this is that when people are injured they often say they feel the need for psychological help as well as physical help. But what is happening is that the brain is in a legitimate panic and mess as a direct result of the way the body is functioning at the instrument. As the correct movements are worked in and we are at peace with the instrument, the brain starts to let go too. This illustrates the profound physical logic of the Taubman/Golandsky work, we know and feel it is right on the inside – what I call the internal physical landscape of the performer. Rachel: How are the benefits of the approach expressed? Sophie: Freedom, from pain, ease, speed and power at the instrument, confidence in the knowledge of how and what to do, a completely new way of practicing due to the specificity of the work, freedom of musical expression and a renewed love of the instrument just to mention a few! AUSTA Keynote speaker Sophie Till (USA) in recital with pianist Therese Milanovic on July 1, performing the Strauss Sonata, Prokofiev Sonata no 1, Ravel “Blues” Sonata, and Nocturne by USA composer Jennifer Higdon (flyer and booking details below). Sophie is also available for private lessons in Brisbane from June 25 – Fri 3 July. Please contact therese.milanovic@gmail.com / 0421 477 700 to book your lesson, or with any questions. 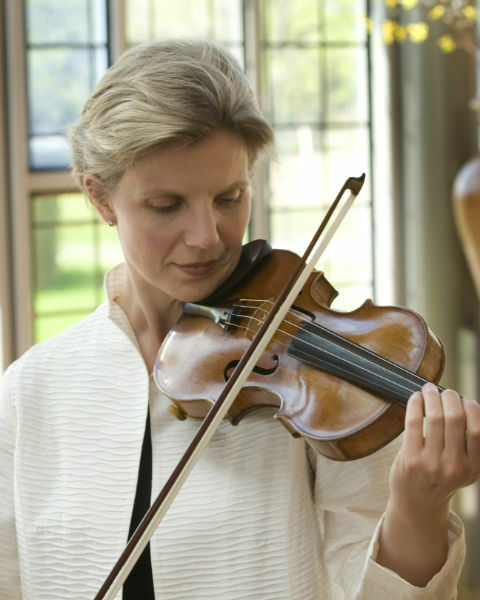 Sophie will also present a full day workshop on the Taubman / Golandsky Approach to Strings, in Sydney, Mon 29 June. This workshop is for all stringed instruments, bookings essential. Bring your instruments, and questions from the repertoire for this hands-on practical workshop. Some private lesson slots available in Sydney Mon June 29 (evening) and Tues 30 June (morning). More information about Sophie’s work can be found at www.sophietill.com, and her Australian program at www.theresemilanovic.com/sophie-till-visit-2015/.